The Legend of Zelda franchise has been one of the jewels (or rupees) in Nintendo’s crown for over three decades now. With Breath of the Wild a major success and more HD remakes on the way, the entirety of the series now spans almost 30 titles. 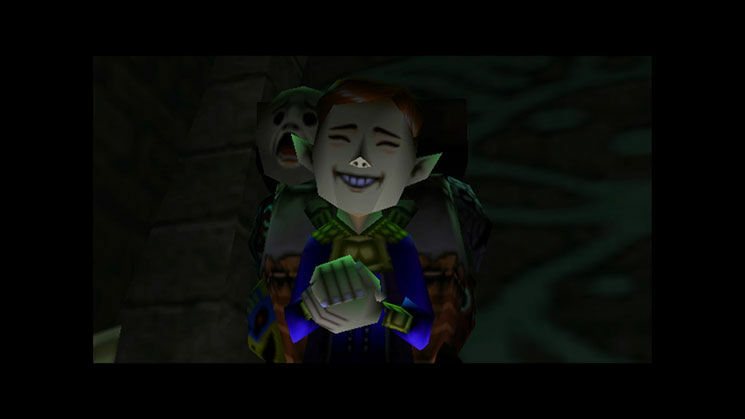 For all of Zelda’s adventures though, there was one that was darker and weirder than the rest. That game, released in 2000, is Majora’s Mask. In this Nintendo Nostalgic, we pay tribute to an essential, unsettling RPG classic. Most Zelda games feature Link overcoming huge, puzzle-filled dungeons full of deadly monsters. Majora’s Mask is the same, but also loves to turn things on their head, especially when you least suspect it. After the events of Ocarina of Time, Link now wanders the land of Termina. It’s a similar place to Hyrule, except for one problem: a giant, hideous moon is hovering over its main settlement, Clock Town, and over the course of three days it’ll descend and destroy it, taking Link with it in an ocean of fire. The villain responsible is Skull Kid, a cackling, sorcerous brat who’s been possessed by the evil mask of the title. He’d doom Link to this terrible fate if it wasn’t for his trusty ocarina. With this fabled instrument, Link can keep time-traveling back to the start of the three days, ensuring the catastrophe never occurs. With a whole host of time-based puzzles to solve, this is N64 Zelda at its finest — complete with an unforgettable archnemesis and some of the most fiendish dungeons ever put in a Zelda game. Majora’s Mask was one of the few N64 games to use its fabled Expansion Pak to bring better visuals to the gameplay. Unfortunately, a whole lot of “nope” came along for the ride, too. Besides Majora’s murkier colors, the game is full of god-awful imagery that’ll leave players awake well into the night. First, there are the masks Link needs to collect in order to overcome certain challenges in the game. Not only are they horrifying, they also change you into certain creatures, complete with painful-looking transformations. They’re also offered to you by the Happy Mask Salesman, a returning character from Ocarina who hasn’t lost his odd smirk, nor his creepy little laugh. Given the tight deadline that Majora’s Mask was released under, there really isn’t much difference between this entry and its predecessor, Ocarina of Time. 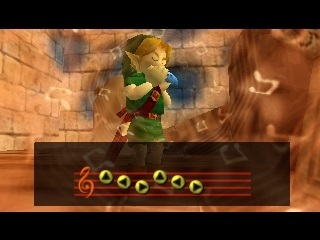 The sound effects are memorable, but if you’ve played Ocarina, you’ll find they’re the same. The soundtrack, however, is a different story. Continuing in the same dark vein of the game’s graphics, the Majora’s Mask score is full of morose tunes that keep you on edge, like the bleak “Song of Healing.” And as for the song that plays right before the Moon destroys Clock Town, that’s a whole other level of depressing. Let the misery stop already! 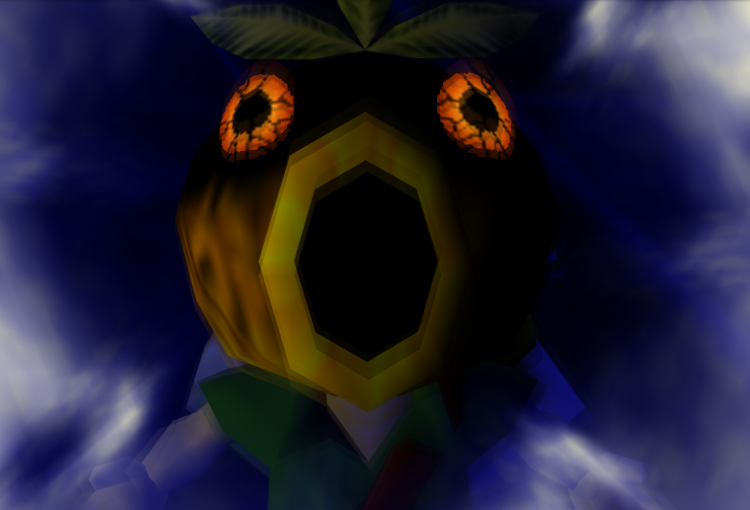 Thankfully, getting the most out of Majora’s Mask is anything but a miserable experience. Its brilliance — and its enduring eeriness — live on in this true Nintendo classic.